Participants were taught a patriotic song during the intermission of the contest and were asked to sing together in front of the crowd. 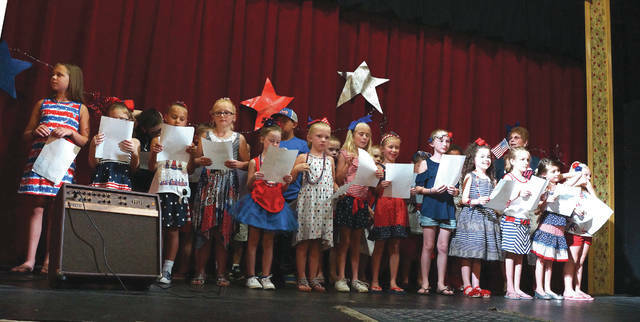 Barb Slone | Greene County News Leah Snow and Troy Cooper were crowned Lil Miss and Lil Mister Fairborn July 3 at the city’s annual Fourth of July Block Party. Leah Snow and Troy Cooper were crowned Lil Miss and Lil Mister Fairborn July 3 at the city’s annual Fourth of July Block Party. https://www.fairborndailyherald.com/wp-content/uploads/sites/50/2018/07/web1_lilmisslilmr2.jpgParticipants were taught a patriotic song during the intermission of the contest and were asked to sing together in front of the crowd. 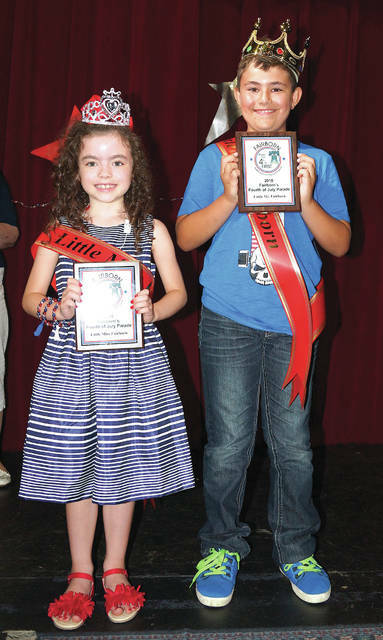 https://www.fairborndailyherald.com/wp-content/uploads/sites/50/2018/07/web1_lilmisslilmr1.jpgBarb Slone | Greene County News Leah Snow and Troy Cooper were crowned Lil Miss and Lil Mister Fairborn July 3 at the city’s annual Fourth of July Block Party.